This led to a steady journey that is committed to equipping teachers, remodelling the physical environment and delivering learning in such a way that students become passionate and self-directed lifelong learners. The Rider, the Elephant and the Path are the key elements of the Heath & Heath model for change in Switch*. Left to its own devices the Elephant is emotional, skittish, looking for a quick pay off and hungry for instant gratification. However, when the rider holds the reins and leads, providing planning and direction, working together with the Elephant’s energy and drive, change will happen. The challenge for the Rider is that their flaws can be paralysing. If the Rider isn’t clear about direction, the Elephant will go around in circles. The most important thing that the Rider can do is provide crystal clear direction. Simon Sinek, author of Start with the Why** speaks about the law of diffusion of innovation (below), which shows how people respond to change. It makes me think where the term ‘Elephant’ came from. The role of the Innovator is to shift that great big hulking Early Majority and Late Majority, harnessing the support of the Early Adopters and ultimately dragging the Laggards along by their fingertips. Sinek states that the leader’s focus must be vision and the ability to communicate it and in so doing, provide crystal clear direction. Question: What’s working and how can we do more of it? NBCS: Celebration – When there is a tangible shift in thinking or students success, this is shared amongst the school community and celebrated. Ambiguity is the enemy of successful change. Goals must be translated into concrete behaviour and clarity dissolves resistance. The challenge for the Rider is not succumb to the temptation to script every move, just the essential ones. Question: What are the critical moves? 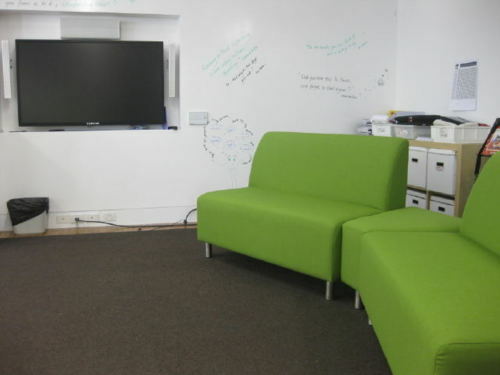 NBCS: Furniture – If desks are in rows and the teacher talking from the front represents industrial-era model of school, then choice of furniture and the way it is arranged is crucial to the 21stC School. 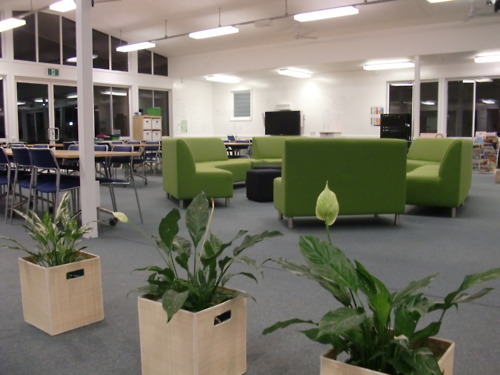 Teachers at NBCS are in no doubt about this, and considerable thought and direction is given to the physical aspects of the spaces where learning occurs. NBCS: Vision – The principal speaks vision. Constantly. There is a buzz and excitement as teachers try new things and know that they are part of a movement that is seeking to transform schools and engage students in their learning.